"Yanado brings satisfaction to teams by giving them a project management app that works inside their everyday tools." Why waste time learning how to work in a new program when you can delegate tasks and run projects with Yanado straight from your Gmail? With Yanado, everyone can manage their projects without ever leaving their favorite work tools. Our software integrates with those tools, and gives users a simple UI that looks and feels familiar. 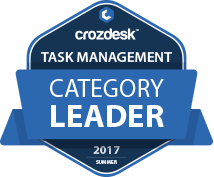 Yanado scored 88/100 in the Task Management category. This is based on user satisfaction (94/100), press buzz (42/100), recent user trends (falling), and other relevant information on Yanado gathered from around the web. Manage your projects right from your Gmail. Track project progress, who's doing what and how much work each teammates needs to do, all from Gmail. Yanado feels just like a natural part of Gmail with its familiar UI and UX. Turn emails into tasks with just one click. Integrates with Google calendar to create reliable reminders and alarms to keep you on schedule. 4.71/5 based on 25 user ratings. What do you like about Yanado? You can not beat the integration with Gmail. At the end of the day, you can have all the tools in the world, but if you constantly have to leave your main work environment (your email) to toggle to another screen in order to get an overview of your projects, you can begin to feel disassociated from your customers and the core of your business. What do you dislike about Yanado? Not much! While it is a relatively new product, who can complain about it when the software development team is so committed to making sure that the software meets your needs. I had a 30 minute phone call with one developer on how to craft the functionality my business needs. All this at a pricepoint that beats almost all competitors. What have you been using it for and what problems did Yanado solve? Yanado allows me to stay in one place to do my work. Master chefs work in small spaces because large movements create waste and loss of time. The same is true of business and productivity. The disorientation that results from having to flip screens, or struggle to email requests to external project management systems is eliminated with Yanado. Plus, the interface is modern, sophisticated and very easy to use.